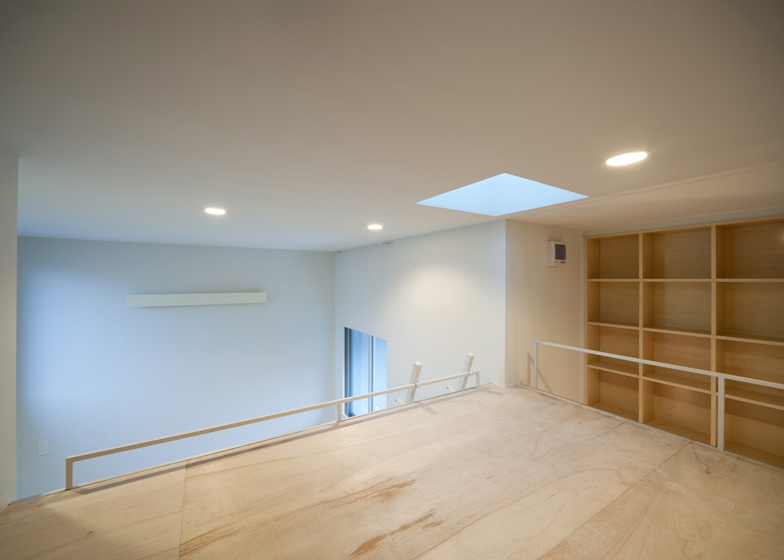 Slideshow: a wooden library climbs the walls of this four-storey house in Kanagawa, Japan. 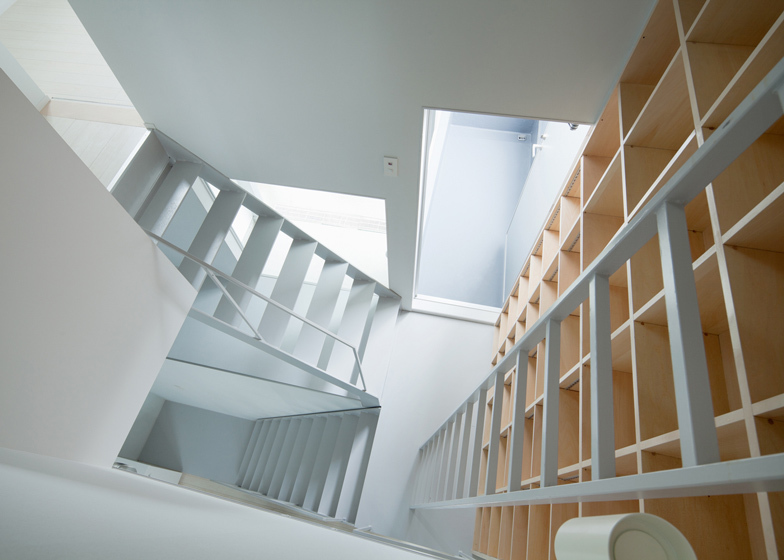 Starting in the basement, the first set of bookshelves are a storey high, while a second set begin on the first floor and rise up to reach the ceiling of the floor above. 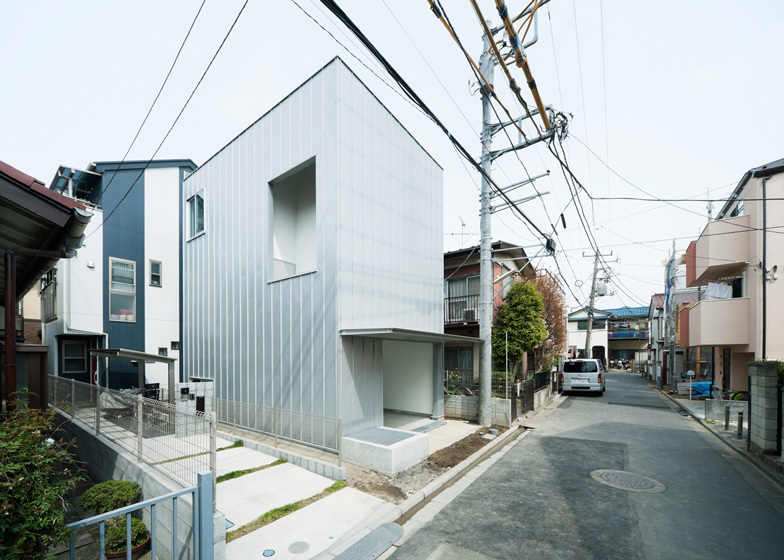 Tokyo studio Ryuji Fujimura Architects designed the residence, which is enclosed behind a grey powder-coated steel facade. 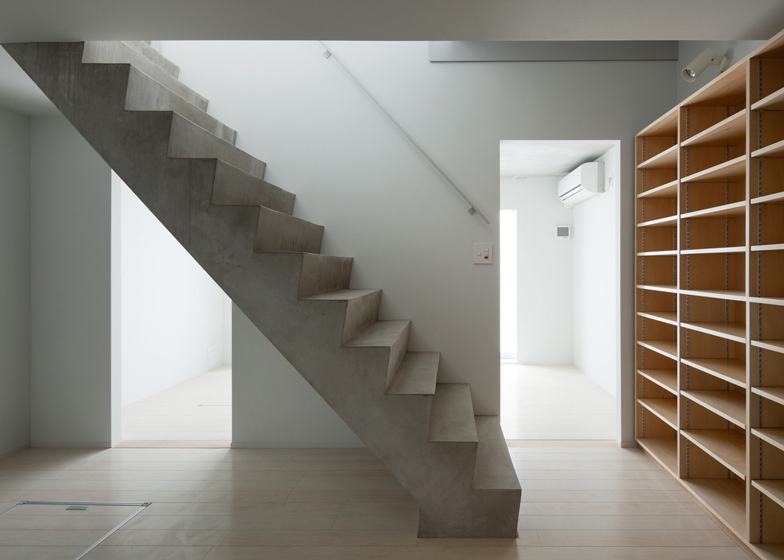 A mixture of both concrete and steel staircases connect the levels inside the house, while ladders provide access to a second floor loft and to the highest bookshelves. 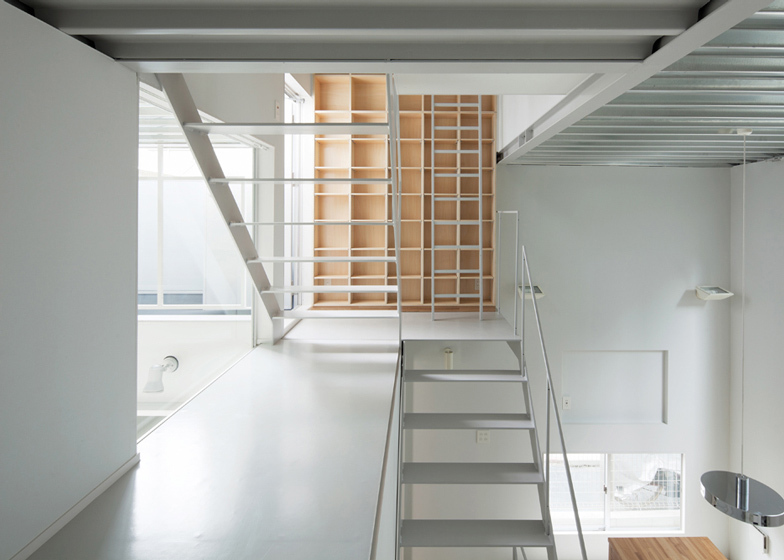 Ladders are a common feature of many residences we feature from Japan. 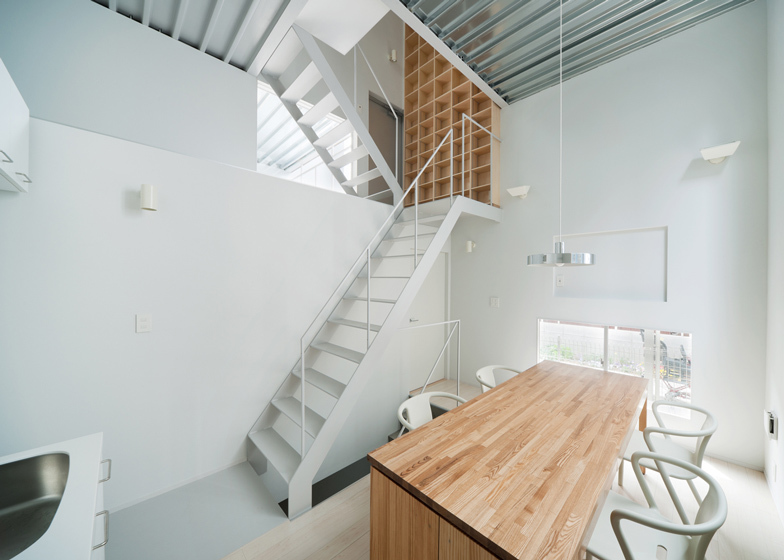 Ones worth a look include a house with climbing walls inside and another where rooms overlap one another. 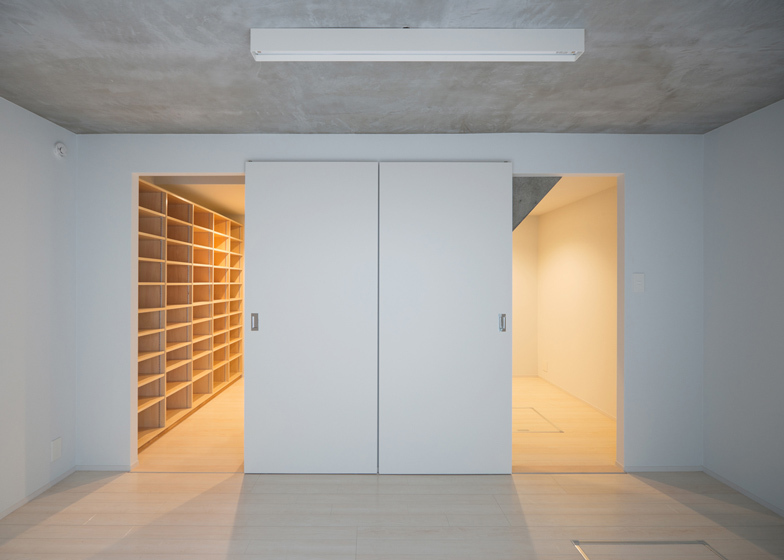 See also: a house completely lined with bookshelves in Osaka. 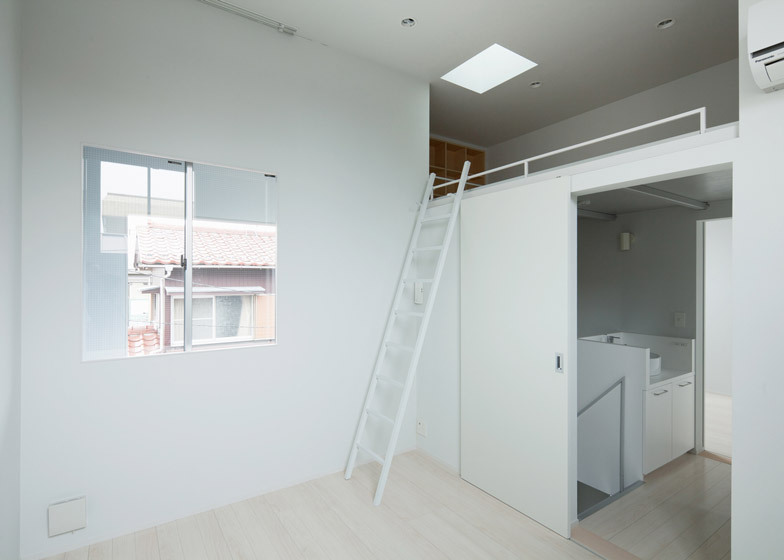 The house like a storage located in a residential area on the suburbs of Tokyo.